Anti-smoking advocate: "Tobacco litigation is alive and well"
(CNN) -- A Florida jury awarded a 92-year-old man $1.9 million in compensatory damages for the death of his wife, a former two-pack-a-day Marlboro smoker who started when she was 16 and died in her 70s, attorneys said Thursday. A jury awarded a 92-year-old man $1.9 million in compensatory damages for the death of his wife. The jury of five women and one man deliberated for slightly more than a day before deciding on the amount, attorneys for both sides said. The jurors put the total award at $5.3 million but found that Philip Morris USA was only 36.5 percent responsible for the lung cancer that plaintiffs said killed Leon Barbanell's wife. Shirley Barbanell herself was deemed 63.5 percent responsible, the attorneys said. Plaintiff's attorney Jonathan Gdanski said the jury found a design defect and a breach of warranty. Philip Morris announced that it plans to appeal the case, one of thousands of "Engle progeny" cases, named after a 2006 Florida Supreme Court decision that decertified a class-action lawsuit against the tobacco industry. That case involved Dr. Howard A. Engle, a Miami Beach pediatrician and smoker who served as the lead plaintiff in the class-action suit. The decertification decision let former class members file lawsuits individually, and thousands did. 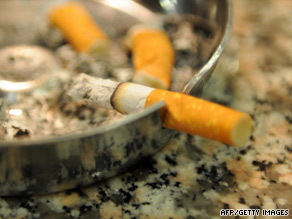 The Florida Supreme Court also allowed some factual findings about smoking causing disease be taken from Engle case and applied to the progeny cases "so plaintiff's attorneys don't have to start from square one in each of these cases," said Ed Sweda, a lawyer for the Tobacco Products Liability Project in Boston, Massachusetts. The industry has balked at that. "Today's verdict is the result of a severely prejudicial trial plan," said Murray Garnick, Altria Client Services senior vice president and associate general counsel, speaking on behalf of Philip Morris USA, in a written statement. "From beginning to end, this case was marked by legal rulings that should be reversed on appeal, including allowing this jury to rely almost exclusively on findings by a prior jury that have no direct connection with the plaintiff in this case." So far, six of the eight Engle cases that have gone to trial have come back with a plaintiff's verdict, said Sweda. "Another bunch are in the pipeline ready for trial this year," he said. About Thursday's verdict, he said, "This is certainly a clear indication that tobacco litigation is alive and well." Gdanski said his firm has more than 150 Engle cases. "We're more than happy to keep trying them," he said.